A 4-year-old was injured in a recent Indianapolis ATV accident. According to the Indy Star, the accident happened at roughly 8:00 p.m. when the 17-year-old female operator of the ATV tried to maneuver sharply around a parked car on the side of Wisconsin Street. The maneuver caused the ATV to flip over on its side. The young boy rider was thrown from the ATV and suffered from a collapsed lung, a chest contusion and a head laceration. He was first transported to St. Francis Hospital South and later taken to Riley Hospital for Children. Our personal injury attorneys understand that it’s illegal in Marion County to operate an ATV on a public road. Safety on Indiana off-road areas is the responsibility of everyone. Still, ATV education is not a requirement for riders in the state. But, as trails and recreation areas become more crowded, it’s especially important for people to operate these vehicles safely and responsibly. In the state of Indiana, there have been more that 250 ATV fatalities reported to officials from 2008 to 2011. Close to 50 of these fatalities were children under the age of 16. In Indiana, all ATVs are required to be titled, and the owner shall receive one numbered plate valid for the life of the vehicle. Riders under the age of 18 are required, by law, to wear a helmet at all times. There are also to be no passengers on ATVs except on vehicles that are specifically designed to carry more than one person. Many of the ATV-related injuries are the result of high-energy trauma. The injuries reported aren’t minor scrapes and bruises. Children riders and teens with those kinds of injuries and other minor trauma probably don’t go to the hospital. So it’s very likely the number of accidents is much higher than reported. -Make sure you’re always wearing the proper protective gear, including gloved, shoulder protectors, solid shoes, eye protection, long pants, a jacket and a helmet. -You should never ride on paved roads except to cross when done safely and permitted by law – another vehicle could hit you. ATVs are designed to be operated off-highway. -Never ride under the influence of alcohol or drugs. -Before getting behind those handlebars, consider taking a hands-on safety training course. -Keep children off adult-sized ATVs. If the driver is under age 18, use an ATV that is appropriate to his or her age and size. -Don’t exceed manufacturer’s passenger or weight limits. -Inspect your ATV before every ride. Check the brakes and brake lights. Inspect the throttle. It must return to position immediately when it is released. 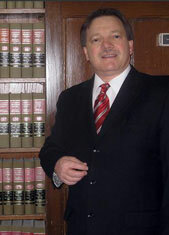 Attorney Burton A. Padove represents accident victims. If you or a loved one has been injured, call (219) 836-2200 for a free and confidential consultation to discuss your rights.